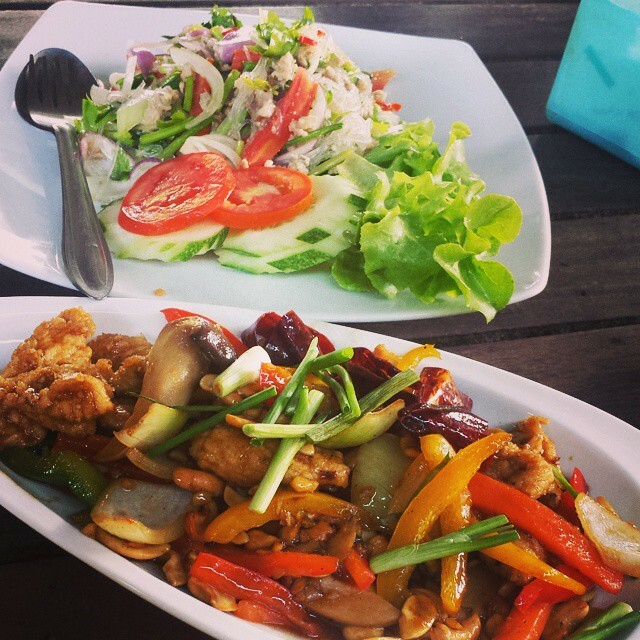 Photo Caption: Lunch yesterday @tigermuaythai. My fave, the silver noodle salad was SOOOO spicy! It’s 530am here right now and this pic made my mouth water so I had to share! .